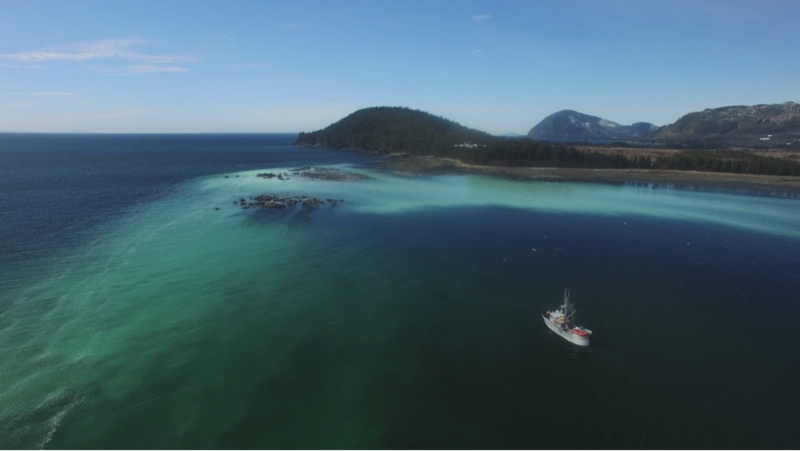 Where herring go after spawning in Prince William Sound (PWS) remains a mystery. Do they remain in PWS or migrate out into the Gulf of Alaska? A pilot project that started in 2012 demonstrated it was possible to implant acoustic tags in Pacific herring and then detect them on acoustic arrays as they traveled to the entrances of PWS. The acoustic arrays that existed in PWS during that study did not have enough sensors to determine if fish left PWS once they reached the entrances. In 2016 we were able to purchase additional receivers and tags with a longer battery life for a follow-up research project. Adult herring are captured using jigs and transferred to a seawater holding tank. Individually, the herring are sedated, measured, and a small acoustic tag is surgically implanted. The tags transmit pings that can be “heard” by portable hydrophones and groups of acoustic receivers installed in the Sound which “listen” for tagged fish. These receivers are placed on the spawning grounds and at the major entrances to PWS including Hinchinbrook Entrance, southern Montague Strait, and the four southwest passages. 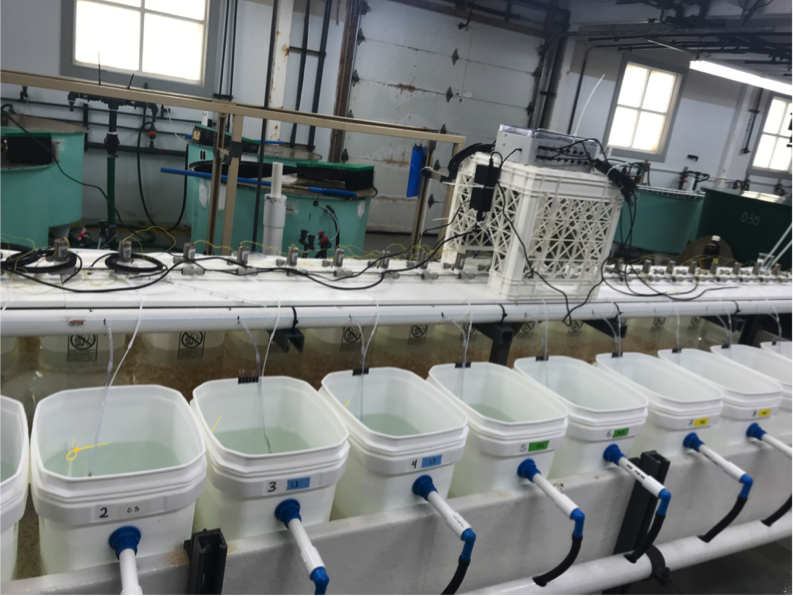 By adding additional receivers at the entrances, we can determine the direction the fish is swimming when it crosses the receiver array. Receiver data are uploaded once or twice a year. Click here for a full report on the 2018 locations of PWS acoustic arrays. We have already learned that after spawning, the majority of adult herring move to the entrances to PWS. They can travel approximately 115 kilometers over three days. They stay near the entrance through June and then disappear, reappearing again starting in September. Some herring winter in deeper waters near the spawning grounds. We are trying to learn what routes and what other areas in PWS the herring are using. To aid in this effort 8 refurbished receivers were deployed in 2018. These receivers were put near southern Knight Island Passage, Glacier Island, Red Head (near Port Gravina), along the west side of Hawkins Island, and across the north end of Montague Strait. 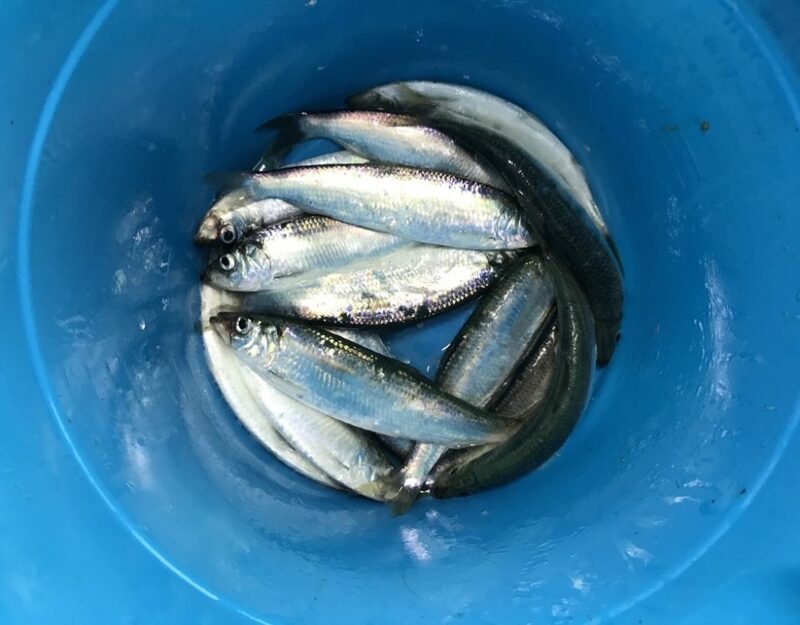 Following the spawning events in spring 2018 a total of 202 herring were tagged. Over the course of the next year data will be uploaded from these receivers with the hope of illuminating the paths these herring take. By knowing where the fish are, we can improve the design of studies that examine factors such as predation, food availability, and stock genetics that affect herring populations.